Ms. Bebout is an associate in Dean Mead’s Tallahassee office. Her practice focuses in the area of state and local taxation. 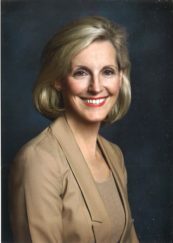 Prior to joining private practice she clerked with the Honorable William Stafford, Chief Judge of the United States District Court of the Northern District of Florida, the Honorable Norman Roettger, Jr., Chief Judge of the United States District Court of the Southern District of Florida and the Honorable Robert T. Benton, II, First District Court of Appeal of Florida.